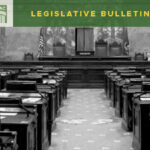 Last week, the House passed HB 1655, sponsored by Rep. Lovick (D-Mill Creek), which provides for industrial insurance coverage for stress-caused mental disorders and disabilities for police and firefighters. The bill passed 85-11 and now will be considered in the Senate. 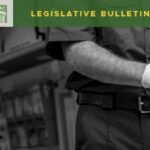 Additionally, the House Labor and Workplace Committee considered HB 2633, sponsored by Rep. Doglio (D-Olympia), adding certain medical conditions to the presumption of occupational diseases for police and firefighters. The Senate Labor and Commerce Committee heard SB 6213, sponsored by Senator Ranker (D-Orcas Island), the companion bill for HB 2633. 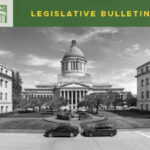 The Senate Committee also held a public hearing on SB 6214, sponsored by Senator Conway (D-Tacoma), which would provide industrial insurance coverage for post-traumatic stress disorders. 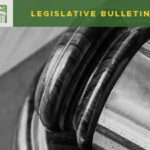 The focus in the labor committees this week will be on legislation making technical corrections to the family and medical leave program, bills regarding the deduction of union dues, bills pertaining to sexual harassment in the workplace and bills regarding employer access for bargaining representatives to new employees. Budget and revenue committees are busy in the coming week. WSAC staff will testify in opposition to multiple bills providing an increase in benefits to members of the public employees’ retirement system plan 1 and the teacher’s retirement system plan 1. The testimony will focus on the overall concern regarding fiscal sustainability issues in counties. 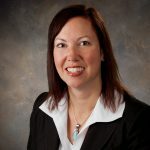 We will testify in support of HB 2737, sponsored by Rep. Appleton (D-Poulsbo), directing the Department of Commerce to conduct an analysis of the constitutional and statutory obligations of local governments compared to sources of revenue. We will also provide support to HB 2006, sponsored by former Representative Koster, providing cities and counties with fiscal flexibility.